Here at Calendar Lady Promotions we sell the best corporate confectionery around! We think that corporate confectionery is the best way to promote your business, not matter the occasion! There are many corporate confectionery to choose from, so just choose what product you want from the wide range we have and we will out your company details and logo printed right on it to ensure you stay advertised! 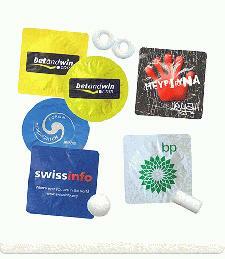 For our other promotional and personalised items besides our Corporate Confectionery click here. View the full rage of Corporate Confectionery here. For all your sweets and confectionery needs, visit our Personalised confectionary department. To find out more about our Corporate Confectionery click here and fill in the contact form and we'll get straight back to you or call us for a FREE QUOTE TODAY on 01989 565281!